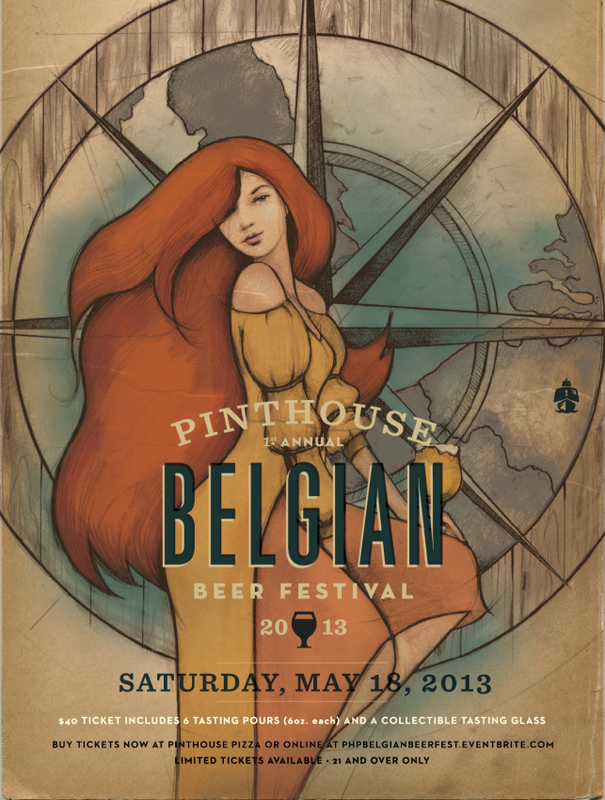 Welcome to the 1st Annual Pinthouse Pizza Belgian Beerfest! • Saturday, May 18th, 12 p.m. – 4 p.m.
• Saturday, May 18th, 5 p.m. – 9 p.m.
Each session will have the same 40-50 Belgian and Belgian Style beers available. 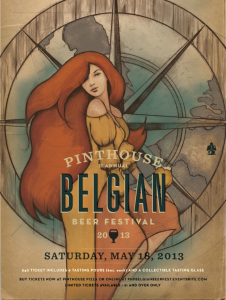 With your entry fee you will receive limited edition Pinthouse Pizza Belgian Beerfest glassware and 6 tickets, each good for a 6 oz. tasting. Additional tasting tickets will be available for purchase for $2 each. This is a 21 and over event. No children or pets allowed. Please remember to bring your ID and be prepared for a great time with great beer! Additional parking will be provided for this event.